Three alone mattered – US-installed billionaire/oligarch incumbent Petro Poroshenko, convicted felon Yulia Timoshenko, and comedian/entertainer Vladimir Zelensky. Zelensky portrayed Ukraine’s president in a television series – now the frontrunner to assume the post after the April 21 runoff. It’s how things work in America, most other Western countries, Israel, and elsewhere. Powerful interests run things, elections farcical when held. 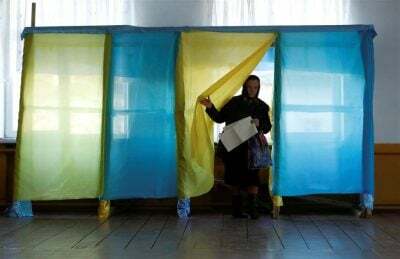 Ordinary people have no say – for sure not in Ukraine. 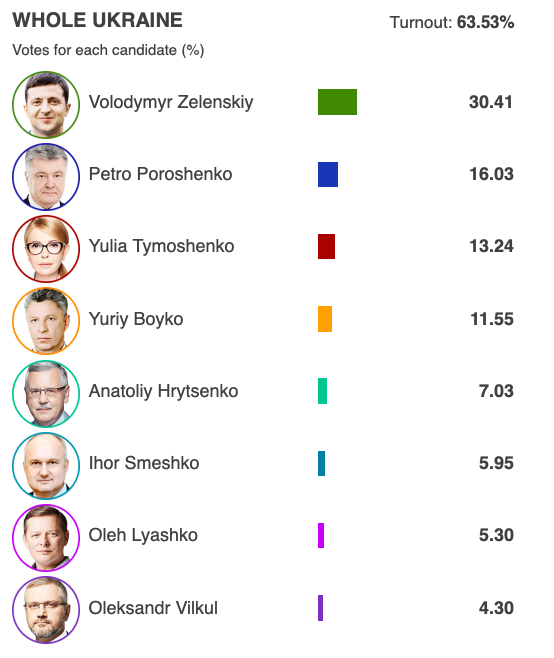 Separately, Timoshenko claimed the vote count her team tallied showed her finishing second with 16% support – ahead of Poroshenko. They fled cross-border because of war on Donbass, forced conscription of military-aged men, economic hardships, out-of-control corruption, and despotic rule – clearly hostile to Poroshenko, why he disenfranchised them.